CO 14 st. – Long tail cast on using both strands together. *For every row, the first and last stitch will be knit together with both strands of yarn. This creates a uniform border & keeps both sides of the work together. 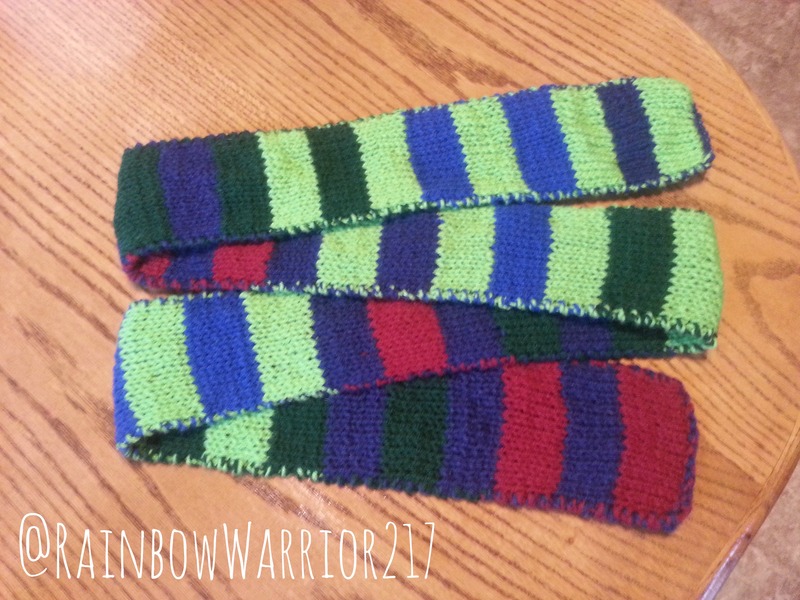 Row 1 – Knit with Color A & purl with Color B. Row 2 – Knit with Color B & purl with Color A. Watch the tutorial below, to see how to do the double knitting method. I made this very funky double knit scarf for my little brother. 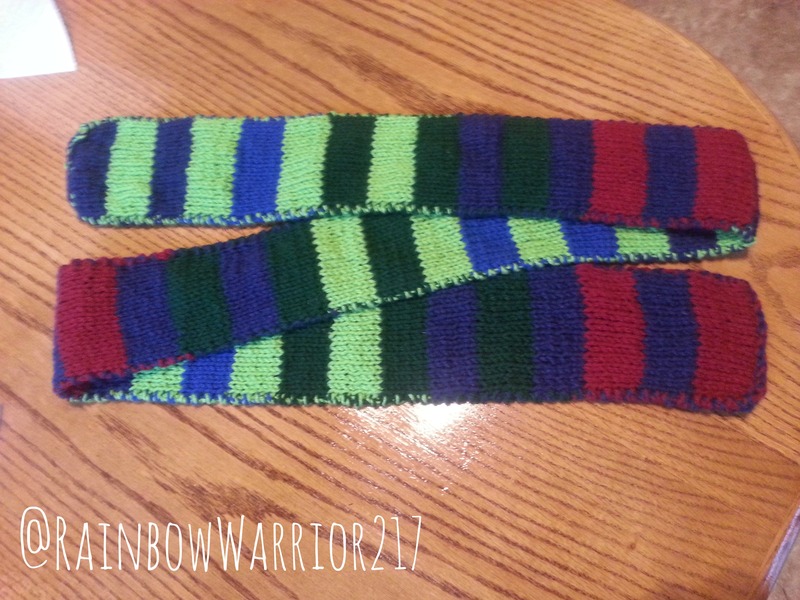 I did 8 rows for each stripe and added in a different color after 3 stripes. I’m really glad I decided to knit stripes rather than a more complicated color design for my first double knitting project. I was able to master the technique without having to worry about following a chart. I can’t wait to create my own graphs for double knit designs, I’m thinking Doctor Who, Harry Potter House scarf, superhero… the possibilities are endless! If you use this link it won’t cost you any extra but you will be helping to continue my work. Thanks for your support! Posted in Video TutorialsTagged color design, double knitting, knit designs, knittingBookmark the permalink.